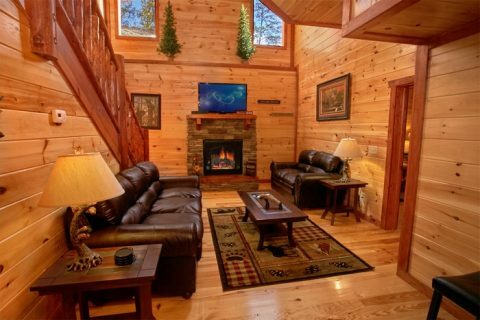 "The Preserve" a cabin rental with private indoor pool near Gatlinburg, TN offers a great location for your stay in the Smokies! 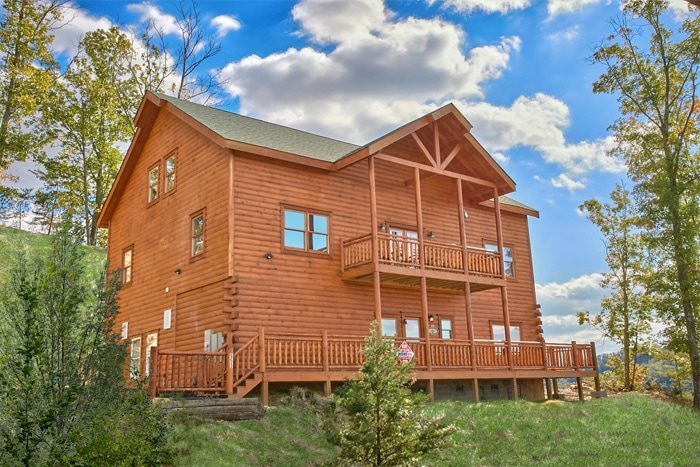 This luxury resort cabin close to Gatlinburg is also convenient accessing the Pigeon Forge parkway. 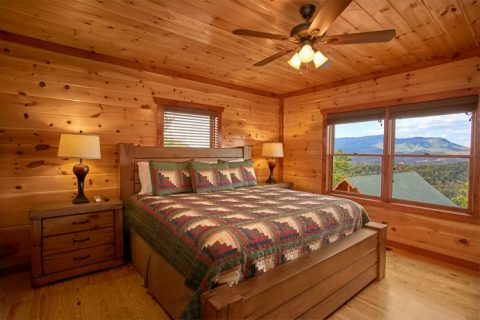 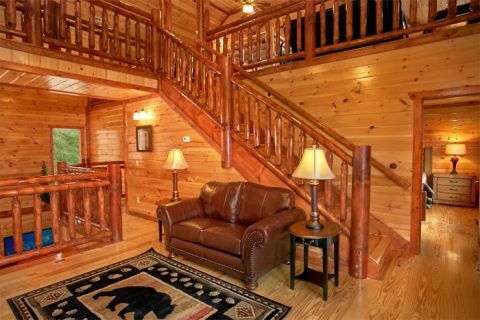 Here, guests of this Black Bear Ridge Resort cabin will find endless shopping, restaurants, and local attractions! 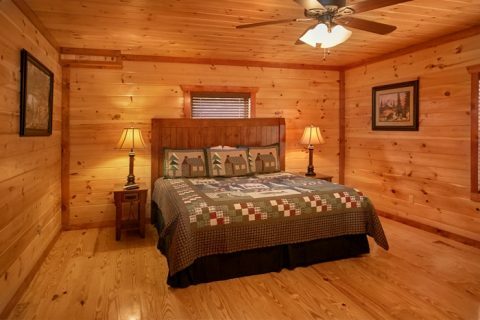 While spending time at their 6 bedroom cabin near Gatlinburg TN, guests will enjoy comfortable accommodations as well. 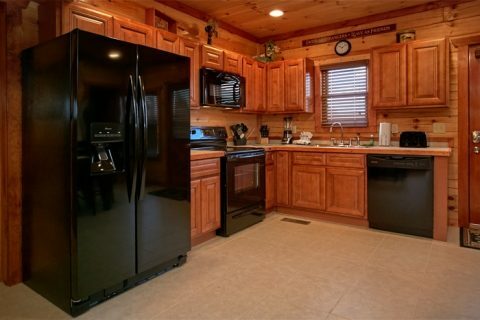 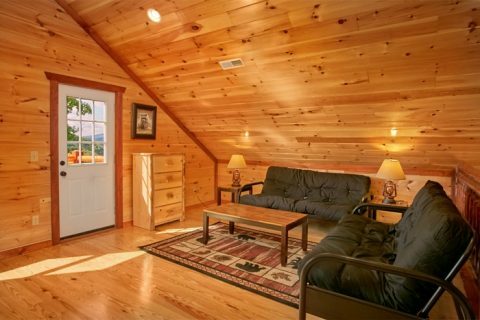 This cabin for rent close to Gatlinburg sleeps 18 guests and is a terrific choice for large gatherings or multiple families hoping to visit the Smokies. 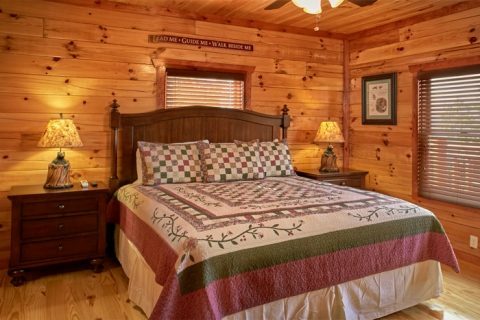 In every bedroom of this six bedroom cabin rental, there are luxurious king-sized beds for restful nights before days of adventure. 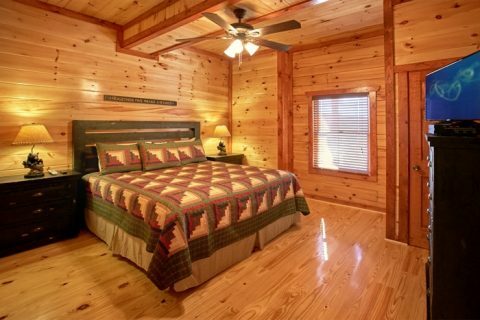 In addition to comfortable sleeping quarters, guests will find 6 full bathrooms for their convenience. 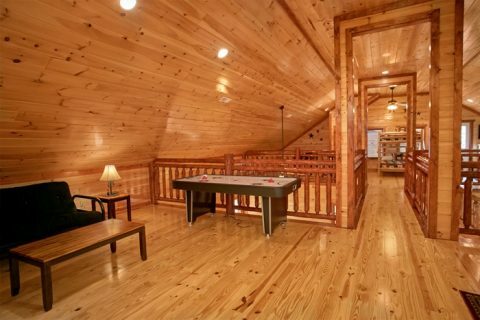 Such a space is an ideal place for relaxation complete with a private indoor pool, hot tub, game room, and home movie theater. 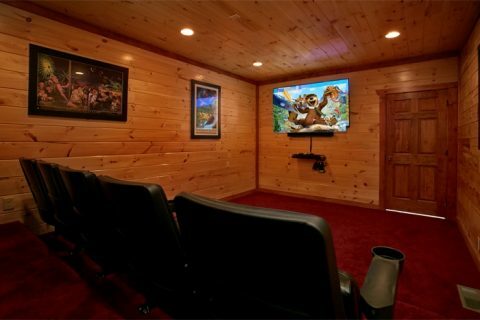 The Preserve is also a great place to catch the big game since football fans can watch the SEC Network in the theater room. 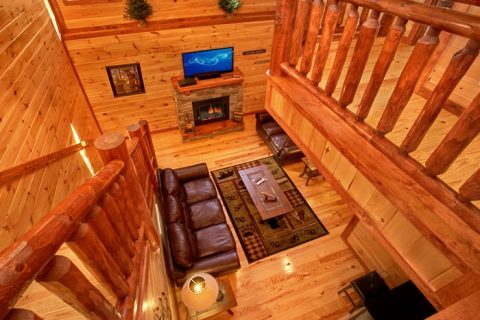 As many activities and attractions as the Great Smoky Mountains, Pigeon Forge, and Gatlinburg offer, vacationers will love the great in-cabin entertainment that "The Preserve" offers, including the SEC Network. 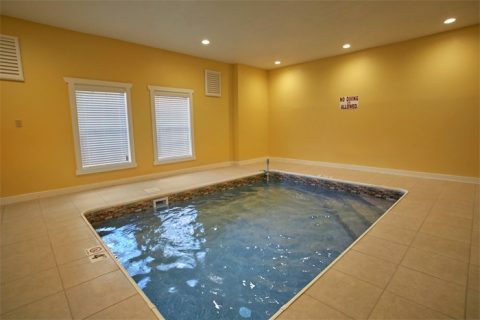 The private indoor swimming pool guarantees year-round poolside fun while the on-site resort pool is available to guests as well. 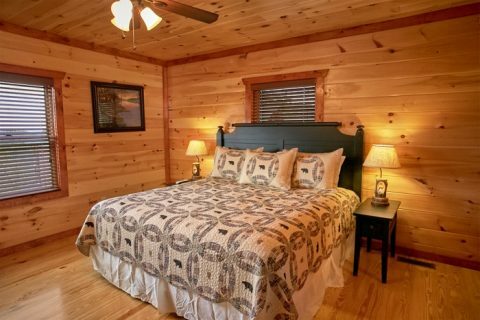 Access to the resort pool is not included in the cost of the cabin, but it is a great place to unwind in the sun during the warm summer months. 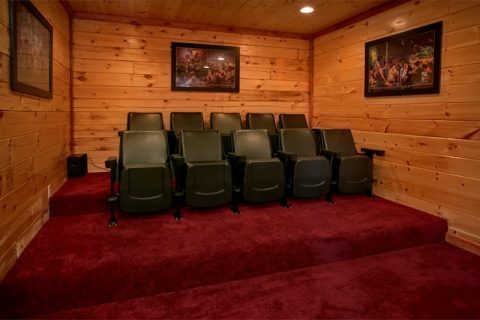 Guests will also love the quality movie experience offered by this cabin rental near Gatlinburg with theater room! 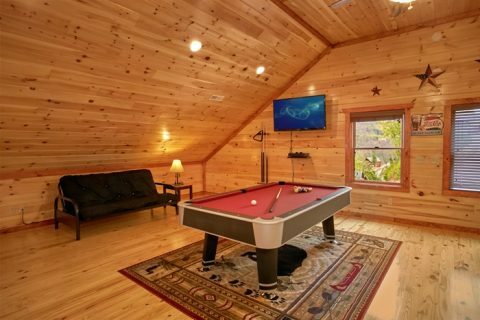 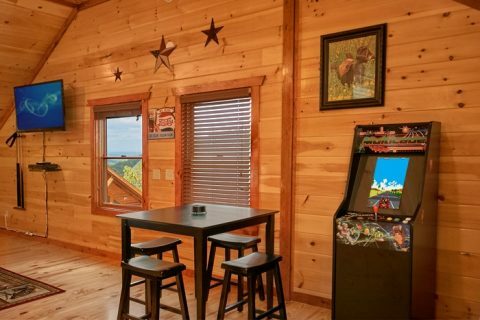 And don't forget that this luxury Smoky Mountain cabin also boasts a game room with pool table. 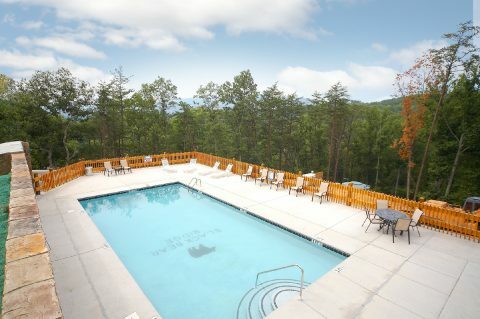 Other on-site resort amenities include a resort spa, wedding chapel, as well as a resort seasonal swimming pool. 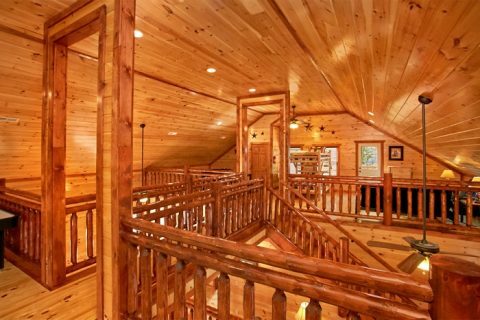 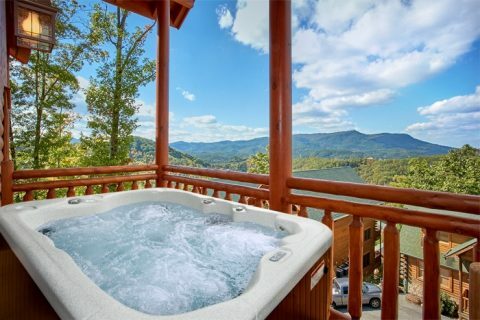 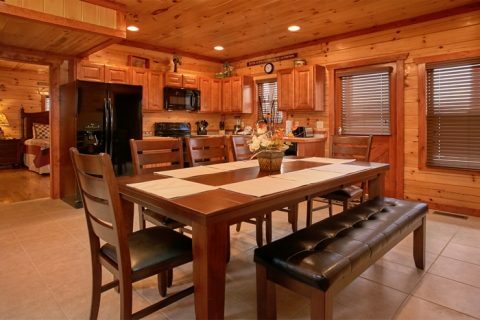 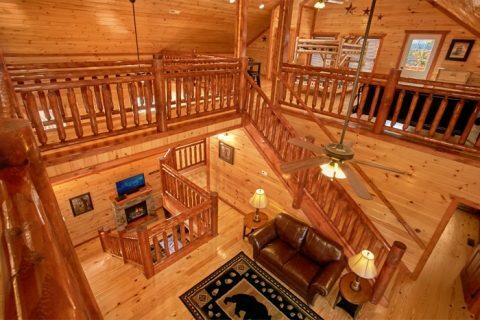 Last, but not least, this Gatlinburg, TN area cabin offers breathtaking Smoky Mountain views from wrap-around decks. 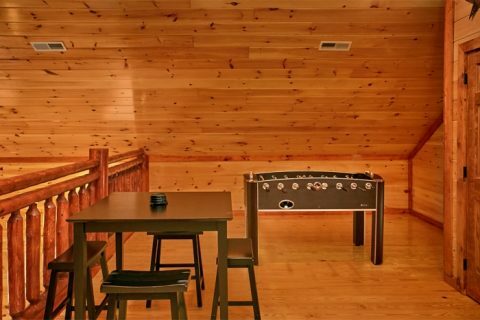 This luxury cabin near Gatlinburg, TN with indoor pool offers a premium Smoky Mountain experience. 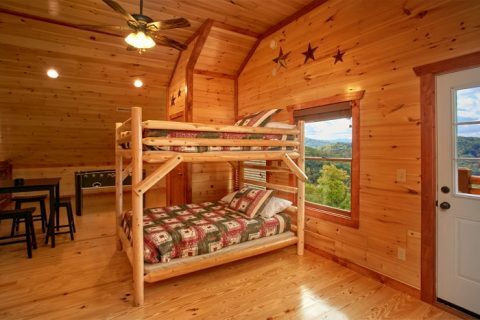 This comfortable cabin serves as the perfect place for groups and families to make unforgettable memories in the Smoky Mountains of Tennessee. 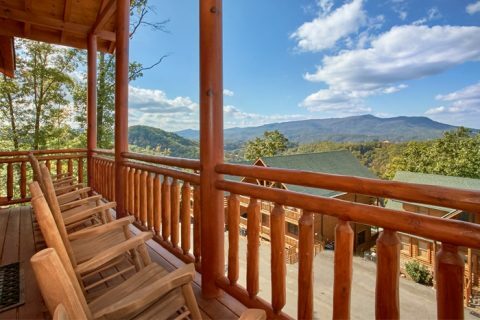 Enjoy a relaxing, fun-filled, and memorable stay at your cabin in the Smokies near Gatlinburg, TN. 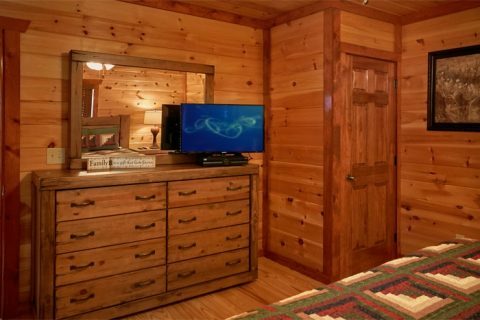 Better yet, online bookings with Cabins USA Gatlinburg receive an immediate 15% discount. 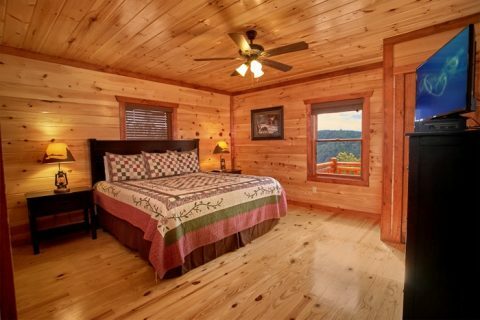 Book today and save on your stay with Cabins USA Gatlinburg!